This design will work for all weights of yarn. 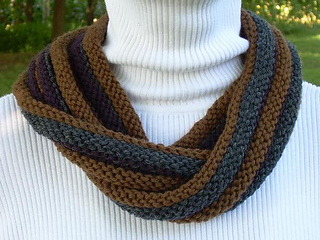 You will need 150-170 total yards for each cowl. Worked in the round on circular needles.